It seems that with the Virginia Republican primary victory of Tea Party candidate Dave Brat over House Majority Leader Eric Cantor has proven to the liberal media that despite their exaggerated reporting, the Tea Party isn’t actually dead. When Chris Jansing asked if “the demise of the Tea Party was overstated,” McKay Coppins of Buzzfeed replied: "I think so." 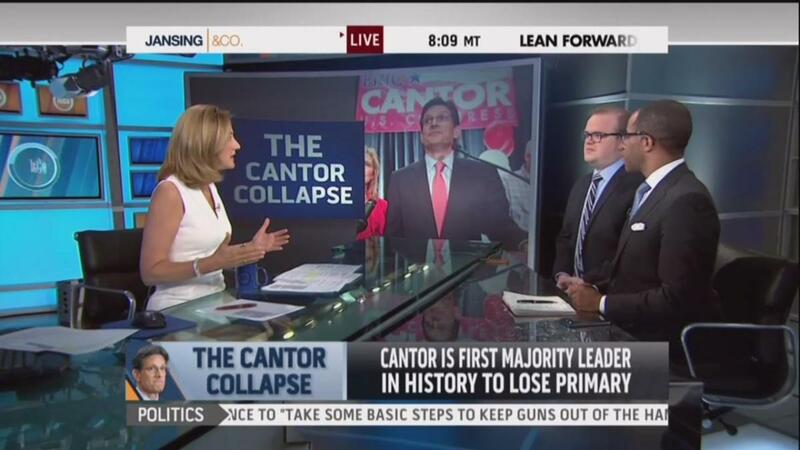 MSNBC contributor and Washington Post opinion writer Jonathan Capeheart replied to Jansing, quoting John Boehner that “the Republican Party is the Tea Party,” and unlike the rest of MSNBC, “I never thought the Tea Party was in demise.” Good of the liberal media to finally notice. CHRIS JANSING: Alright, I just– yes or no answer to the question before we go. Was the demise of the Tea Party overstated? MCKAY COPPINS: Um, I think so. JONATHAN CAPEHEART: Oh, I never thought that the Tea Party was in demise. The Tea Party, as Speaker Boehner said, the Republican Party is the Tea Party, and that’s because the Republican Party latched itself on to this movement filled with anger and now they are seeing what happens when you latch onto the movement filled with anger.